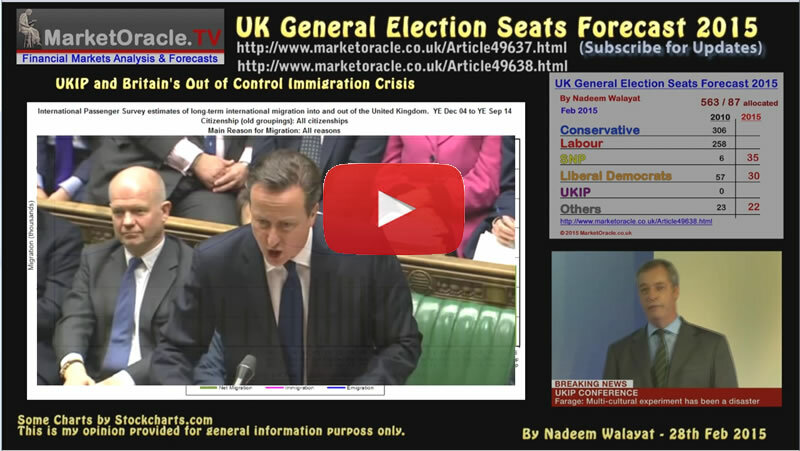 Nate Silver UK General Election Forecast 2015 as Wrong as 2010? 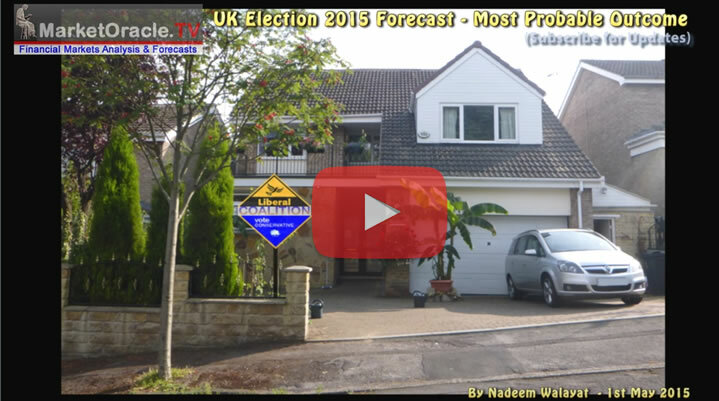 Last weeks BBC Panorama programme featured Nate Silver who apparently is famous for forecasting the outcome of the 2012 US election, so with much press hype is expected to accurately forecast results for the May 7th UK General election. The BBC Panorama programme after near 30 minutes of mind numbingly boring footage of basically a caravan driving around the UK, finally has Nate Silver state his forecast conclusion that put the Conservatives on 283 seats, Labour 270, SNP 48, Lib Dems 24 and UKIP on just 1 seat. Subsequently the mainstream press has literally gone bananas on Nate Silvers UK election forecast as if he were Moses himself, who just like Ed Milliband on Sunday has descended from the Election Mountain with a prophetic stone tablet. In terms of what I actually see as the most probable outcome for the general election primaily based on economic and market analysis rather than opinion polls, I refer to my in-depth analysis of 28th Feb that was most recently iterated in the following video which is far more informative than the BBC's waste of licence fee payers money Panorama programme. The bottom line is that a continuation of the Coalition government is the most probable outcome which means an combined total of at least 323 seats. Therefore come May 8th virtually all pollsters (including Nate Silver) will have egg on their faces as the mainstream media will have flushed untold millions down the drain on commissioning opinion polls that turned out to be WRONG just as the polls were wrong in the run up to the Scottish referendum that was never a 50/50 proposition which at the time I concluded was mainly so as to allow pollsters to sell opinion polls and the mainstream press to sell copy and so it is the case with today's election campaign.